Just when we think there is a change in the weather and spring might actually arrive here, some gale force winds and a bit more rain turn up to change our minds. 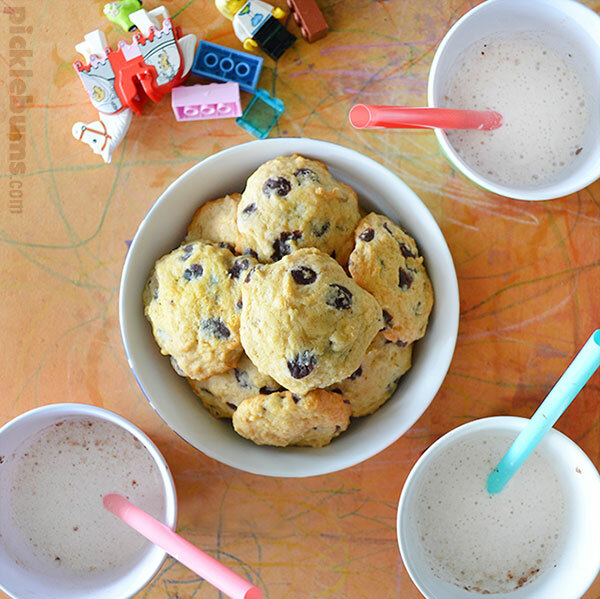 Lego, vanilla milk, and banana chocolate chip cookies, that’s how we rock a wet and windy afternoon! Get my kids outside and they will play together happily for hours, confine them inside and things go bad really quickly. I usually resort to the’divide and conquer’ technique, or I break out the Lego. Lego is one of the few indoor activities that all four of my kids will happily do together, and it saved my sanity on this wet afternoon. Another trick I have up my sleeve is Vanilla milk. When my kids were little they thought vanilla milk was the best treat ever! Even now they are older and have experienced the delights of a real milkshake, they still love good old vanilla milk. To make it just add a dash of vanilla extract to some milk, pop it in a jar with a lid, and shake it till it’s nice and frothy. 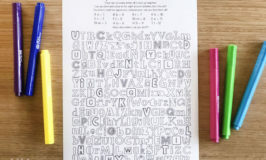 You can add a sprinkle of cinnamon or nutmeg to the top too if you like. And the last rabbit I pulled out of my hat to stop things going pear shape while everyone was stuck inside was banana chocolate chip cookies. Oh man these are good! These cookies are what happens when banana bread and a chocolate chip cookie get married and have babies. Delicious, soft, sweet little babies that you should eat while they are still warm. Ok that sounds wrong, but trust me, these cookies are awesome. 2 -3 ripe bananas mashed. Cream butter and sugar, then add the egg and mix well. Fold in flour and then stir through the chocolate chips, and mashed bananas. 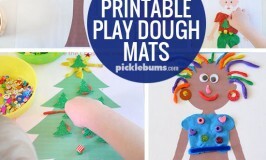 drop teaspoons of dough on to trays lined with baking paper and cook for 10-15 minutes. Do not over cook! When you see them starting to go slightly brown around the edges, take them out. 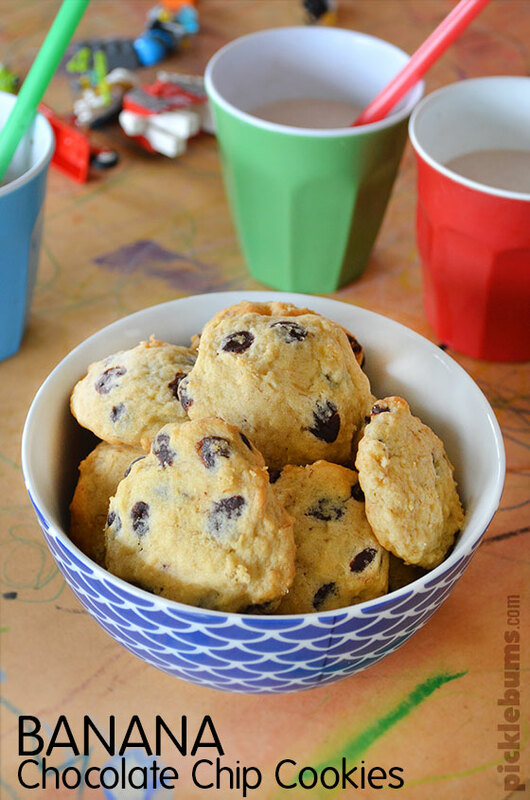 These cookies are easy to make, and delicious! You can flash freeze the dough in spoonfuls on a baking tray, and then bake them straight from the freezer. Just add a little extra cooking time. They will keep for a few days in an air tight container, but seriosuly… take my advice and eat them while they are still warm! What magic tricks do you have up your sleeve for days when everyone is stuck inside? Here in an almost sunny Durban South Africa we are making fluffy slime and the girls are cutting and rolling it with cookie cutters. My girls also luv Vanilla milk we just add little bit of honey and nutmeg and watm it slightly. . 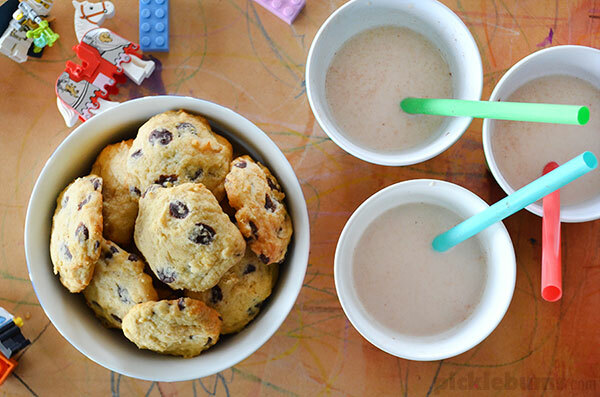 Cookies and milk is the best breakfast ever! Enjoy!